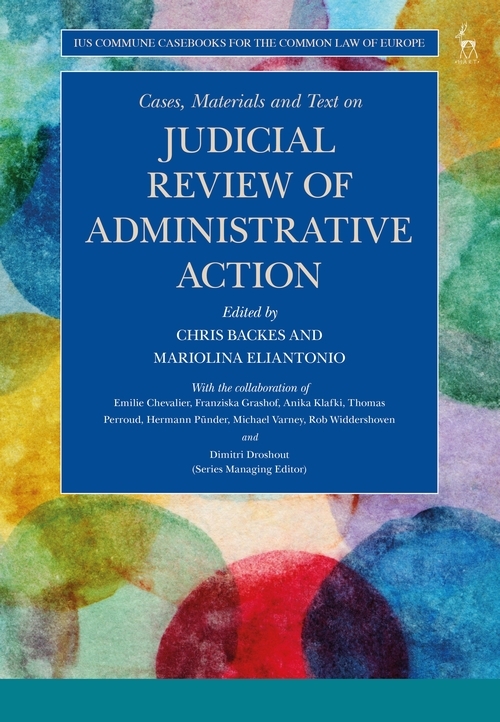 This casebook studies the law governing judicial review of administrative action. 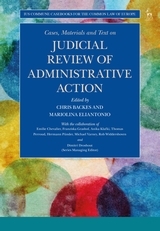 It examines the foundations and the organisation of judicial review, the types of administrative action, and corresponding kinds of review and access to court. Significant attention is also devoted to the conduct of the court proceedings, the grounds for review, and the standard of review and the remedies available in judicial review cases. The relevant rules and case law of Germany, England and Wales, France and the Netherlands are analysed and compared. The similarities and differences between the legal systems are highlighted. The impact of the jurisprudence of the European Court of Human Rights is considered, as well as the influence of EU legislative initiatives and the case law of the Court of Justice of the European Union, in the legal systems examined. Furthermore, the system of judicial review of administrative action before the European courts is studied and compared to that of the national legal systems. During the last decade, the growing influence of EU law on national procedural law has been increasingly recognised. However, the way in which national systems of judicial review address the requirements imposed by EU law differs substantially. The casebook compares the primary sources (legislation, case law etc) of the legal systems covered, and explores their differences and similarities: this examination reveals to what extent a ius commune of judicial review of administrative action is developing. Chris Backes is Professor of Environmental and Planning Law at the University of Utrecht. Mariolina Eliantonio is Professor of European and Comparative Administrative Law and Procedure at Maastricht University.